With mountains surrounding the kibbutz it was rather inevitable that we’d go hiking soon after arriving. Because of the heat we started the hike around 6:30 in the morning and we were still hot as we climbed the mountain. 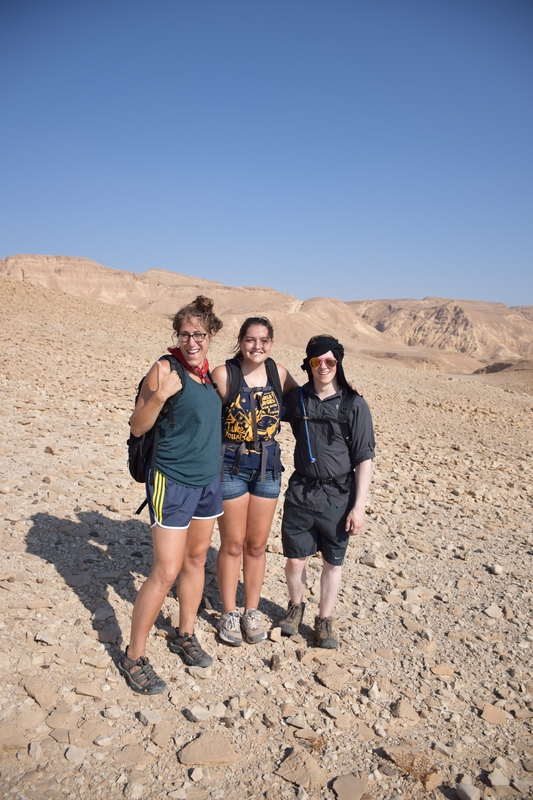 Luckily, there was a pretty heavy breeze at the top that kept us cool as we hiked around to Electric Mountain and down back to the kibbutz. After starting the hike at six thirty in the morning we successfully reached the top of the first set of mountains. 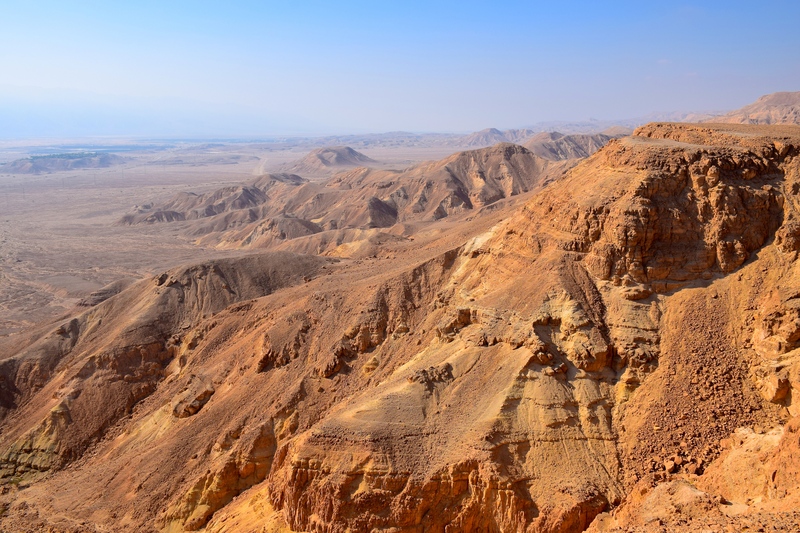 Beautiful view of the mountains surrounding the kibbutz. 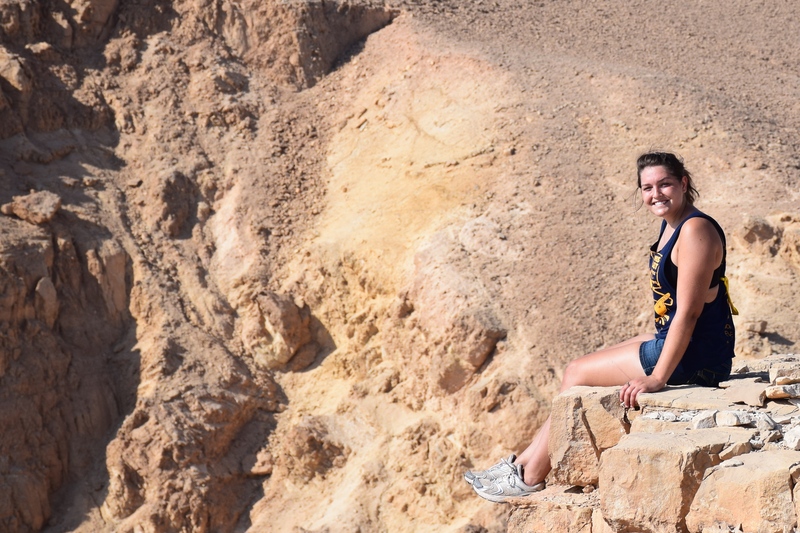 I managed to frighten my friends by sitting on this “cliff,” there’s not much of a drop beneath it. Little did I know that would become a common occurrence as I hiked the mountains around here, sitting on the edges to enjoy the view. 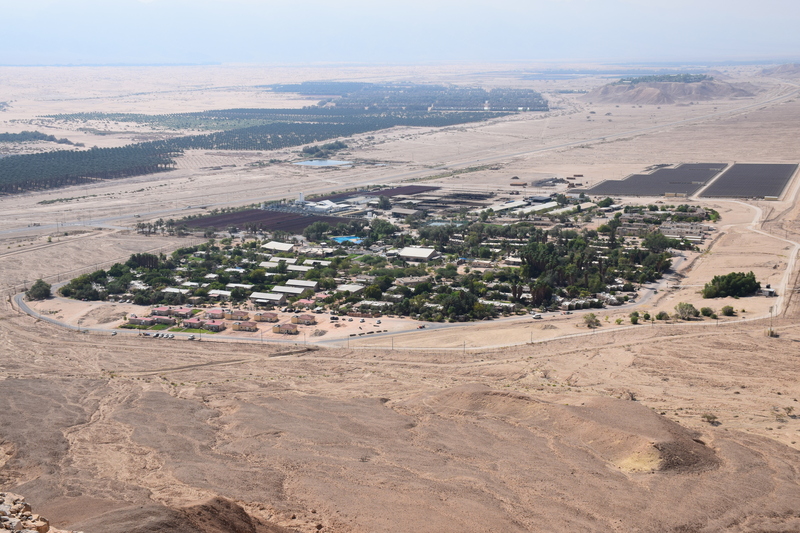 The last picture is the view of the kibbutz from Electric Mountain. The dark patch on the right side is the solar field, we haven’t gotten a tour yet, but the staff are working on getting us one. The patch of trees on the right edge that are sort of isolated are part of a man-made oasis that we spend time relaxing in in the evenings. The kibbutz itself is quite small, the majority of the space is used for housing for the kibbutzim members.